AN INTERESTING CRITIQUE….BUT HOW VIABLE IS THE ALTERNATIVE? Paul Mason, the economics editor of Channel 4 News, has written “Post Capitalism , a guide to our future “, which offers a critique of the existing global capitalist system. He points out that capitalism is only 200 years old and has gone through many changes. Economic systems do not last forever and can sometimes collapse suddenly and painfully. In its present phase, global capitalism is, he says, “driven by network technology, mobile communications, a truly global marketplace and information goods”. He says this model is now stalling. He argues that many of the innovations now emerging are ones that derive from discoveries that produce services that are(or should be) intrinsically free, in the sense that, once invented, they can be reproduced indefinitely, almost without extra cost. New software applications, and new pharmaceuticals are, for example, profitable only so long as they are protected by patent or copyright exclusivity. That is a fragile enough protection, it is arbitrary, and is dependent on a continuing global consensus. As their societies age, he also believes the debts of many developed country governments are un payable, without drastic cutbacks in services to the elderly. Debt default by a major country could blow the whole global financial system apart. Meanwhile the market is incapable of finding solutions to global threats like climate change. There are so many players. With contradictory interests, that no one is in charge, and capable of imposing a solution. Inequality in incomes and wealth are reaching what he regards as unsustainable levels. This is driven by technological change. Work that requires only a high school level of education is harder and harder to find. Education is becoming as much a means of sorting out job applicants as it is a method of releasing a student’s potential. Those who control technology and finance, and have key skills, qualifications, and intellectual property, are commanding an undue share of the flow of wealth. States are too weak to curb this activity. Underutilised capital is being accumulated in the financial sector because of a lack of good investment opportunities. This is driving down interest rates, and creating conditions for another speculative bubble. Mason blames lack of spending power among workers for the lack of investment opportunities. His solutions are not as well worked out as his critique. He wants everyone paid a basic income by the state, whether they work or not (notwithstanding the fact that admits that the same states are already horrendously in debt). He wants the state to intervene to promote the provision of more goods and services for free, like the free service provided by Wikipedia. He also wants the state to use the criminal law to penalise rent seeking behaviour in business and to strengthen the role of trade unions. Given that that people and businesses, who want to avoid doing what one country wants them to do, can easily move to another country, his model could not be implemented without reintroducing capital controls, and reversing the benefits of globalisation. Most of his proffered solutions are thus impracticable for one country, acting on its own. They would require some form of, self sufficient, global government and the author offers no clue as to how that might be achieved. He wants the un payable debts of states to be gradually reduced through inflation, which he accurately describes as financial repression. He believes this financial repression should be engineered by the central banks. This would destroy people’s savings, pensions, and insurance policies, which are underwritten by the very debts he wants to write off or devalue. As he puts it, his policy would “reduce the value of assets in pension funds, and thus of the material wealth of the middle classes and the old”. People would never vote for solutions along those lines, and nothing in this book will persuade them to do so. The only way they could be introduced would be by stealth. 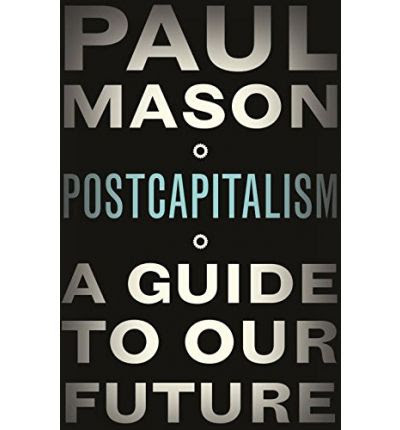 The book is useful in that it offers an insight into the logical outcome of the policies espoused by left wing anti capitalist protest parties. It also portrays the risks that lie ahead for the world, if the defects in the present system, which the author correctly identifies, are not tackled properly.